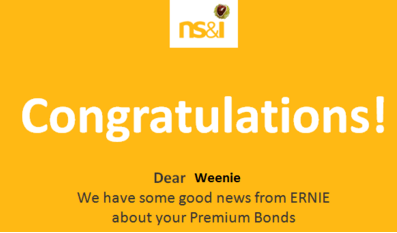 This entry was posted in Books, premium bonds by weenie. Bookmark the permalink. 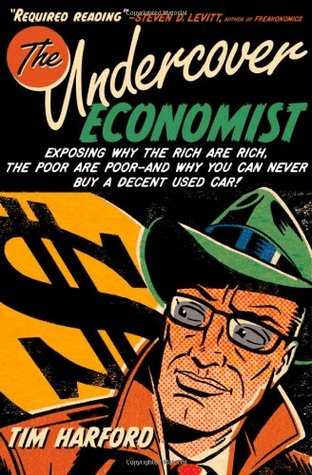 Thanks for sharing the review of The Undercover Economist. Sounds similar to the Freakonomics series, which I have enjoyed, so I will have to check it out. Of course, I was an Econ major, so I may be naturally inclined to find the topic more interesting than you do! Glad to hear that your library is safe for now. They are generally a great resource for communities, but I can see the financial pressures continuing to increase. Hopefully Harford has some ideas! I’m hoping I will have more of an interest now and not shy away from articles on economics so much! Incidentally, Harford does have a story about a library in ‘The Undercover Economist’ but it was more about one not being fit for purpose! I read that book on my honeymoon back in 2013 (I really know how to live it up, huh?) And did enjoy it although I think anyone with a more than basic understand of economics will find around the book a little boring/simple. His examples and stories are all really good though. I got half way through writing up a detailed summary/review to post on the blog but it’s remained in my drafts folder ever since unfortunately! That’s really sad to hear about the ten libraries closing in your area. Hopefully your one escapes the chop for many years to come! This level of economics is my level haha – I think I need it to be a fairly simple level to keep my interest! Interestingly enough, I received a leaflet from the local Lib Dems representative and part of his manifesto is to campaign for longer hours at the library (which wasn’t closed down), with the option of volunteers to help out (which the current council won’t consider). I think it’s the only thing I’ve seen in all the local political promises that I’d consider worth backing! Sorry just remembered I put my comment here to reply to ROMT and say that this particular book isn’t really anything like Freakonomics IMHO but I dare say if you enjoyed one you will probably enjoy the other. @weenie again, Harfords blog is really good and yes he does pop up in many places nowadays. Will check out the podcast you linked. Cheers! The book sounds interesting, I’ll be checking that out. Good news about your local library. They are a fantastic resource. It’s a shame more and more people just aren’t using them. It’s strange because one way of thinking about it is, if the library happens to have the book you want in stock, you’ve already paid for it (via taxes ect..) so why go out an buy it again? Congrats on the PB win! I agree, libraries are paid for with our taxes so we may as well use them. Sadly, none of my friends who are big readers borrow from their local libraries, but I continue to mention it (and how it is a money saver) so hopefully, they will listen at some point! Oh, Weenie, no! Libraries closing is terrible; even a reduction in hours is bad. Libraries build community. I can’t believe this is still an issue. I feel it’s a vested interest, because if it’s happening in the U.K., there’s a good chance that our government will look at it and think it’s a good idea too. I know, Mrs ETT – so sad. I believe the buildings which used to be libraries will still service the communities in some sort of educational way, just not as libraries. Let’s hope it doesn’t happen in Oz. Nice to hear you use your local library especially as I am one of those staff members who were made redundant (although not in Manchester) due to cuts. Unfortunately, the future is bleak for libraries. It is no longer seen as a vital service to most councils. Well done on the PB win. I’m sorry to hear that you were made redundant from your library. You’re right, the future is bleak for libraries, I just don’t understand how they cannot be considered a vital service. I will continue to support my local one and petition against any proposed closures. Thanks – let’s hope I get more PB wins! I agree with you completely regarding libraries, I LOVE them. Thankfully my local ones are still open, they’re doing a fantastic job holding events and encouraging people through the doors, hopefully that will continue. My only problem is I get carried away and often end up with more books than I can possibly read within 3 weeks, forget to renew on time, and face hefty fines….not such a money-saver when that happens! 🙂 Congrats on hitting the reading target and the PB win! Same here – I’ve always loved libraries, big or small. Good to hear your local ones are still open and long may that continue. I guess the fines you’re paying are contributing towards their costs, so money earner for them, though not a money saver for you! Thanks for the book recommendation, I really enjoy Tim Harford on the podcast More or Less so will have to give this a go. Cheers Investing Tommy and hope you enjoy the read! another library fan here:) My local one was about to close down so it was turned into a community library instead. It is now run by volunteers (I used to volunteer there too and must say that most people were very appreciative of our work). Moreover, thanks to crowdsourcing, local folks opened a second-hand book and vinyl store to help fund the library costs. Community libraries are becoming more and more common here (London). Maybe this will also happen in Manchester? Wow, that’s a great story about your community library – what a fantastic idea! If my local library had ended up being shut down, I would definitely support such an initiative and would (if possible) volunteer my time (and money) to make it work. I’m hoping it will never be closed down but I’m somewhat happy that there are alternatives to consider if the worst happens.